Set against a backdrop of 1926 New York City, we meet the heroine of the story — sassy, snarky, seventeen year-old Evie O’Neil — as she is sent from her home in Ohio to live with her Uncle Will who runs the Museum of American Folklore, Superstition & the Occult (or the “Museum of the Creepy Crawlies” as it’s localy known). When mysterious occult murders start happening in the city, Evie, her uncle, and their friends are determined to find the killer and stop him. Evie is called upon to use her supernatural gift as a Diviner to help solve the mystery. In this rich, historical paranormal story (the first in a series) set during one of my favorite decades, it is obvious the author did a ton of research when writing this novel as seen by the incredible amount period details she expertly mixes in without bogging down the story. Libba masterfully weaves the elaborate, rich backstories of Evie and her friends into a spooky story sure to keep you turning the pages well into the night. I’d recommend keeping the light on when it’s time for bed, though. The supremely creepy song the killer sings throughout the story will stick with you long after you’ve closed the book. And you’ll probably never look at an apron the same way again. Only Maureen Johnson can take a topic like Jack the Ripper and wrap it around witty dialogue and characters to make an eerily entertaining, page-turner of a novel. Set in modern day London, Maureen’s first paranormal thriller stars teenager Rory Deveaux who has recently moved with her family from her native southern Louisiana to London. There she enrolls in a boarding school just as a series of grisly murders begin, killings that seem to be the work of a copy cat killer mimicking Jack the Ripper. Even though the “eyes of London” (video surveillance cameras) are poised to capture the goings-on in the city, the killer goes undetected and unseen on the videos. Blue Sargent always accompanies her mother, the town psychic in Henrietta, Virginia, to the graveyard on St. Mark’s Eve to watch the soon-to-be dead march past. Blue herself cannot see them, that is, until that one St. Mark’s eve when she sees a boy come out of the darkness and hears him speak his name to her: Gansey. This is highly unusual for Blue, who has been told since she was a little girl by her mother and her psychic friends that she will kill her true love with a kiss. She never considered this to be a problem until she meets the mysterious boy from the graveyard in person, a boy she knows will die within the next twelve months, a boy she can’t help but wonder will die because of her. Gansey and his friends – students at the nearby, prestigious Aglionby Academy, whom Blue refers to as The Raven Boys – have been searching for Glendower, a deceased Welsh king believed to bestow great power upon the one who disinters his secretively hidden body. Blue has always made a point of not ssociating with the wealthy, privileged Raven Boys, but after meeting Gansey and his friends, she is drawn into their search. Dark magic, paranormal activity, and sinister forces try to keep them from pursuing their quest in which nothing is as it seems. Written with beautifully haunting prose, The Raven Boys (the first book in a new series by the author) effortlessly blends mystery, paranormal elements, easily relatable characters, and a setting that comes to life as though it were another character in the story. Don’t worry, it’s just your imagination. But wait! There’s more! I recently had the good fortune to hear Libba Bray speak at Powell’s Bookstore and snagged an autographed copy of The Diviners to give away to one lucky commenter. Thank you, Fabio, for having me here today! 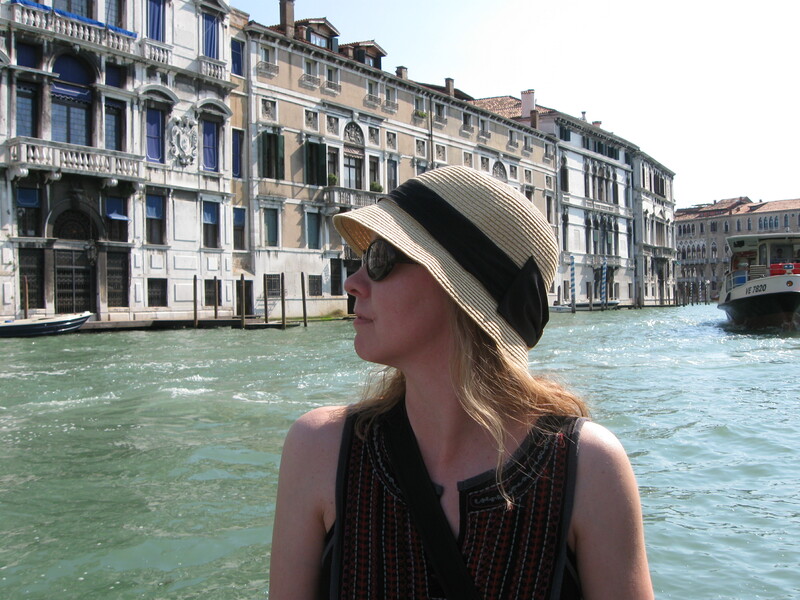 Tami Clayton is a YA and Middle Grade writer with a passion for travel. When she’s not busy being a child/family therapist or scheming her next adventure abroad, she’s hard at work on her first contemporary YA fiction novel. Creeptastick reads Tami! I have’t read any of them yet, but they are ALL on my MUST read list. How wonderful that you got to hear Libba speak in person. And at Powell’s no less! I don’t have a copy of The Diviners yet, a signed copy would be awesome! GREAT post. Thanks for having me here today, Fabio! It’s been a pleasure. So jealous you got to hear Libba Bray! 🙂 And these are great picks from some of my fave authors. Thanks! Libba was a hilarious speaker. I’m so glad I made the two hour trek to hear her speak. Thank you for those recommendations, Tami! I’d love to meet Libba Bray. I’ve met Maggie Stiefvater at a book sigining, and she signed my copy of “Linger” and my laptop : ) She’s approachable, very smart, and super-fun. Ooh, I would love to meet Maggie. The Raven Boys was the first book of hers that I’ve read and I love her writing style and voice. I’ll definitely be picking up more of her books. Libba was immensely entertaining – I highly recommend going to any of her public appearances if she’s ever in your neck of the woods. She’s also very approachable and took the time not only to sign everyone’s books, but she also posed for individual pictures (sometimes in goofy poses) with everyone who wanted one. I haven’t heard of any of these books.. and I like CREEPY!! Thanks for the recommendations, Tami! Thanks for stopping by, Tiffany! While these aren’t as creepy as, say, some adult fiction out there, I think they deliver enough shiver-inducing creepiness to keep you turning the pages well into the night. Oohhh! I love creepy and YA. Thanks for the suggestions! Thanks, Rhonda! I love how YA has grown so much in the last several years to include creepy along with the paranormal, historical fiction, and contemporary sub-genres. It’s a good time for YA. Great recommendations! I love good creepy YA books, and will definitely check some of these out. So awesome that you were able to meet Libba Bray. Her writing style is so quirky. I can only imagine how fun was to listen to her in person! Libba read a story she wrote when she was in 5th grade titled “Death Castle”. She, of course, mocked herself and her writing and it was hilarious. She’s a natural at being in front of a group of people and was very at ease taking questions and interacting with the audience, too. I love your lineup of creepy books. Nothing better to read than something that raises your hackles on a dark and stormy night, right? Appreciate your great giveaway! Very sweet. I listen to a lot of audiobooks during my commute. I think I’ll head over to audible and get The Raven Boys right now. I’ve wanted to read it since the release! Ooh, I’m getting goosebumps just reading the blurbs. Thank you for these creepy recommendations. I added them to my to read list. Thanks! I hope you enjoy them as much as I did. Which to choose? They all look good!